Author Information: Joshua Earle, Virginia Tech, jearle@vt.edu. Earle, Joshua. “Deleting the Instrument Clause: Technology as Praxis.” Social Epistemology Review and Reply Collective 7, no. 10 (2018): 59-62. Damien Williams, in his review of Dr. Ashley Shew’s new book Animal Constructions and Technical Knowledge (2017), foregrounds in his title what is probably the most important thesis in Shew’s work. Namely that in our definition of technology, we focus too much on the human, and in doing so we miss a lot of things that should be considered technological use and knowledge. Williams calls this “Deleting the Human Clause” (Williams, 2018). I agree with Shew (and Williams), for all the reasons they state (and potentially some more as well), but I think we ought to go further. I believe we should also delete the instrument clause. There are two sets of definitions that I want to work with here. One is the set of definitions argued over by philosophers (and referenced by both Shew and Williams). The other is a more generic, “common-sense” definition that sits, mostly unexamined, in the back of our minds. Both generally invoke both the human clause (obviously with the exception of Shew) and the instrument clause. Taking the “common-sense” definition first, we, generally speaking, think of technology as the things that humans make and use. The computer on which I write this article, and on which you, ostensibly, read it, is a technology. So is the book, or the airplane, or the hammer. In fact, the more advanced the object is, the more technological it is. So while the hammer might be a technology, it generally gets relegated to a mere “tool” while the computer or the airplane seems to be more than “just” a tool, and becomes more purely technological. Peeling apart the layers therein would be interesting, but is beyond the scope of this article, but you get the idea. Our technologies are what give us functionalities we might not have otherwise. The more functionalities it gives us, the more technological it is. The academic definitions of technology are a bit more abstract. Joe Pitt calls technology “humanity at work,” foregrounding the production of artefacts and the iteration of old into new (2000, pg 11). Georges Canguilhem called technology “the extension of human faculties” (2009, pg 94). Philip Brey, referencing Canguilhem (but also Marshall McLuhan, Ernst Kapp, and David Rothenberg) takes this definition up as well, but extending it to include not just action, but intent, and refining some various ways of considering extension and what counts as a technical artefact (sometimes, like Soylent Green, it’s people) (Brey, 2000). Both the common sense and the academic definitions of technology use the human clause, which Shew troubles. But even if we alter instances of “human” to “human or non-human agents” there is still something that chafes. What if we think about things that do work for us in the world, but are not reliant on artefacts or tools, are those things still technology? While each definition focuses on objects, none talks about what form or function those objects need to perform in order to count as technologies. Brey, hewing close to Heidegger, even talks about how using people as objects, as means to an end, would put them within the definition of technology (Ibid, pg. 12). But this also puts people in problematic power arrangements and elides the agency of the people being used toward an end. It also begs the question, can we use ourselves to an end? Does that make us our own technology? This may be the ultimate danger that Heidegger warned us about, but I think it’s a category mistake. Instead of objectifying agents into technical objects, if, instead we look at the exercise of agency itself as what is key to the definition of technology, things shift. Technology no longer becomes about the objects, but about the actions, and how those actions affect the world. Technology becomes praxis. Let’s think through some liminal cases that first inspired this line of thought: Language and Agriculture. It’s certainly arguable that either of these things fits any definition of technology other than mine (praxis). Don Ihde would definitely disagree with me, as he explicitly states that one needs a tool or an instrument to be technology, though he hews close to my definition in other ways (Ihde, 2012; 2018). If Pitt’s definition, “humanity at work” is true, then agriculture is, indeed a technology . . . even without the various artifactual apparati that normally surround it. Agriculture can be done entirely by hand, without any tools whatsoever, is iterative and produces a tangible output: food, in greater quantity/efficiency than would normally exist. By Brey’s and Canguihem’s definition, it should fit as well, as agriculture extends our intent (for greater amounts of food more locally available) into action and the production of something not otherwise existing in nature. Agriculture is basically (and I’m being too cute by half with this, I know) the intensification of nature. It is, in essence, moving things rather than creating or building them. Language is a slightly harder case, but one I want to explicitly include in my definition, but I would also say fits Pitt’s and Brey’s definitions, IF we delete or ignore the instrument clause. While language does not produce any tangible artefacts directly (one might say the book or the written word, but most languages have never been written at all), it is the single most fundamental way in which we extend our intent into the world. It is work, it moves people and things, it is constantly iterative. It is often the very first thing that is used when attempting to affect the world, and the only way by which more than one agent is able to cooperate on any task (I am using the broadest possible definition of language, here). Language could be argued to be the technology by which culture itself is made possible. There is another way in which focusing on the artefact or the tool or the instrument is problematic. Allow me to illustrate with the favorite philosophical example: the hammer. A question: is a hammer built, but never used, technology? If it is, then all of the definitions above no longer hold. An unused hammer is not “at work” as in Pitt’s definition, nor does it iterate, as Pitt’s definition requires. An unused hammer extends nothing vs. Canguilhem and Brey, unless we count the potential for use, the potential for extension. But if we do, what potential uses count and which do not? A stick used by an ape (or a person, I suppose) to tease out some tasty termites from their dirt-mound home is, I would argue (and so does Shew), a technological use of a tool. 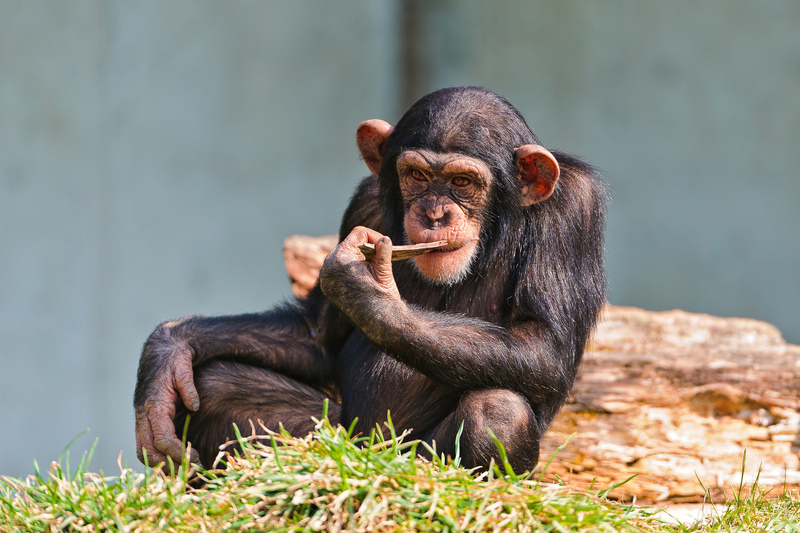 But is the stick, before it is picked up by the ape, or after it is discarded, still a technology or a tool? It always already had the potential to be used, and can be again after it is discarded. But such a definition requires that any and everything as technology, which renders the definition meaningless. So, the potential for use cannot be enough to be technology. Perhaps instead the unused hammer is just a tool? But again, the stick example renders the definition of “tool” in this way meaningless. Again, only while in use can we consider a hammer a tool. Certainly the hammer, even unused, is an artefact. The being of an artefact is not reliant on use, merely on being fashioned by an external agent. Thus if we can imagine actions without artefacts that count as technology, and artefacts that do not count as technology, then including artefacts in one’s definition of technology seems logically unsound. I believe we should separate our terms: tool, instrument, artefact, and technology. Too often these get conflated. Central, to me, is the idea that technology is an active thing, it is a production. Via Pitt, technology requires/consists in work. Via Canguilhem and Brey it is extension. Both of these are verbs: “work” and “extend.” Techné, the root of the word technology, is about craft, making and doing; it is about action and intent. It is about, bringing-forth or poiesis (a-la Heidegger, 2003; Haraway, 2016). To this end, I propose, that we define “technology” as praxis, as the mechanisms or techniques used to address problems. “Tools” are artefacts in use, toward the realizing of technological ends. “Instruments” are specific arrangements of artefacts and tools used to bring about particular effects, particularly inscriptions which signify or make meaning of the artefacts’ work (a-la Latour, 1987; Barad, 2007). One critique I can foresee is that it would seem that almost any action taken could thus be considered technology. Eating, by itself, could be considered a mechanism by which the problem of hunger is addressed. I answer this by maintaining that there be at least one step between the problem and solution. There needs to be the putting together of theory (not just desire, but a plan) and action. So, while I do not consider eating, in and of itself, (a) technology; producing a meal — via gathering, cooking, hunting, or otherwise — would be. This opens up some things as non-human uses of technology that even Shew didn’t consider like a wolf pack’s coordinated hunting, or dolphins’ various clever ways to get rewards from their handlers. So, does treating technology as praxis help? Does extracting the confounding definitions of artefact, tool, and instrument from the definition of technology help? Does this definition include too many things, and thus lose meaning and usefulness? I posit this definition as a provocation, and I look forward to any discussion the readers of SERRC might have. Barad, K. (2007). Meeting the universe halfway: Quantum physics and the entanglement of matter and meaning. Duke University Press. Brey, P. (2000). Theories of Technology as Extension of Human Faculties. Metaphysics, Epistemology, and Technology. Research in Philosophy and Technology, 19, 1–20. Canguilhem, G. (2009). Knowledge of Life. Fordham University Press. Haraway, D. J. (2016). Staying with the Trouble: Making Kin in the Chthulucene. Duke University Press. Heidegger, M. (2003). The Question Concerning Technology. In D. Kaplan (Ed. ), Readings in the Philosophy of Technology. Rowan & Littlefield. Ihde, D. (2012). Technics and praxis: A philosophy of technology (Vol. 24). Springer Science & Business Media. Ihde, D., & Malafouris, L. (2018). Homo faber Revisited: Postphenomenology and Material Engagement Theory. Philosophy & Technology, 1–20. Latour, B. (1987). Science in action: How to follow scientists and engineers through society. Harvard university press. Pitt, J. C. (2000). Thinking about technology. Seven Bridges Press,. Shew, A. (2017). Animal Constructions and Technological Knowledge. Lexington Books. Williams, D. (2018). “Deleting the Human Clause: A Review of Ashley Shew’s Animal Constructions and Technological Knowledge.” Social Epistemology Review and Reply Collective 7, no. 2: 42-44.